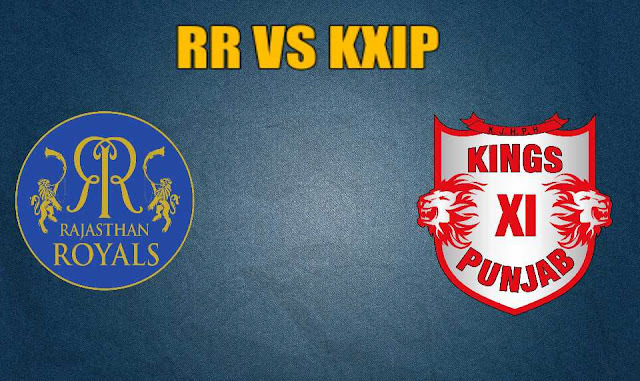 The fourth match of IPL is going to be played between RR vs KXIP. Both teams are in good shape and it will be quite interesting to watch them play. So here I am giving full RR VS KXIP Match Prediction IPL 2019. KL Rahul is a key player for Punjab at the top and Chris Gayle too is in brilliant form right now. Mayank Agarwal has been in good touch of late and Punjab's top 3 holds the key to their success. Talking more about RR VS KXIP Match Prediction IPL 2019, all eyes will be on Australian batsman Steve Smith who will be making a comeback to the IPL arena when Rajasthan Royals host Kings XI Punjab in Jaipur on Monday. The former Australia skipper along with David Warner was prohibited from featuring in the previous edition as fallout for their role in the infamous ball-tampering scandal in Cape Town. With Jaydev Unadkat, Varun Aaron, Dhawal Kulkarni, Jofra Archer, Ish Sodhi in the side the bowling unit, Rajasthan have a lot of quality but the lack of experience might be a worry. Ravichandran Ashwin-led Kings XI Punjab, on the other hand, would heavily bank on the opening pair of Chris Gayle and KL Rahul. The Indian batsman was the third-highest run-getter in the previous edition with 659 runs in 14 innings. Gayle, on the other hand, is returning after a brilliant limited-overs outing with the Windies against England. While Royals would heavily bank on Stokes, the Kings would expect the same from their all-rounder Sam Curran. The Rajasthan Royals will see their star batsman Steve Smith return but Ajinkya Rahane will lead the side this season. Royals have a good batting depth and Smith's arrival will strengthen their batting. RR's bowling looks a bit weaker when compared to Punjab's and their spin attack especially seems inexperienced and seems no match for Punjab's spinners, at least on paper. If RR bat first, the likes of Buttler, Smith, Samson, and Stokes can pile on the runs in their home ground where they'll be egged on by their passionate fans. Punjab's death bowling and the presence of mystery spinners like Mujeeb and Varun can make some damage control but RR can easily score 180 runs or more. The Sawai Mansingh Stadium is a batting track and if Punjab bat first, they can set a huge target for RR to chase. With plenty of firepower in their ranks, they must also ensure that they don't lose early wickets in order to post a big total, though. If things go their way, they can easily score a total excess of 170 runs. Though both the sides look equal in terms of their squad strength, KXIP have better depth and more X-Factor players in their side. RR can certainly pose a big challenge to Punjab but if their bowlers do a decent job, this match is Punjab's to win as their players appear to be in better form ahead of this encounter. KXIP playing 11: Ravichandran Ashwin, Mohammed Shami, Varun Chakaravarthy, Chris Gayle, Andrew Tye, K L Rahul, Mujeeb Ur Rahman, Karun Nair, Mayank Agarwal, Moises Henriques, Arshdeep Singh. So that was the complete RR VS KXIP Match Prediction IPL 2019. Whom do you think will win today's match? Share in comments.